The stories have been hidden but the truth always comes out. 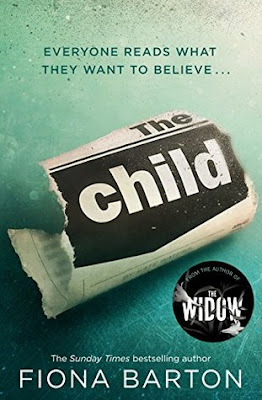 Kate Winters is a journalist and when the skeleton of a newborn baby is discovered after a house is demolished in a gentrifying section in London Kate jumps on the case, Setting out to uncover who the child is and to tell the story behind what happened. But as Kate goes house by house into the past she soon learns there is more to this story than she ever imagined. Soon Kate finds herself the keeper of many secrets that could explode the lives of all those around her and involved in this case. What can she tell and who can she tell it to? I got this book from NetGalley in exchange for an honest review. I have never read any of Barton's other books before. I found this book to be a bit of a slow starter but once it got started my goodness, it kept me up all night reading. A fantastic read with some amazing twists, looking back on it now the slow start actually helped the book as it helped you get to know the characters really well so much so I actually wanted to reach into my Kindle and hug or slap the characters depending on where I was in the book. I think Kate would make a great character to write a series of books about. I shall definitely be recommending this book to people including my book club and it shall be going into my favourite category on my Kindle. I have chosen to give this book five stars.